I’m always getting questions about my style, and more times than not it’s about the expensive pieces in my closet! However, some of them can get pretty pricey and I know dropping hundreds of dollars on one pair of shoes is easier said than done. That’s what happens when you have an eye for luxury! ;) I wanted to show you how you can easily steal my style without breaking the bank. I’ve included multiple options in today’s post that are exact dupes, or are very similar to what I’ve been wearing. These pieces are all less than half the price of the original, so you’ll definitely save a good amount of money! These shoes are seriously a classic! You may have seen me wearing them in my Denim on Denim blogpost. They can easily be dressed up or down and really bring an elegant touch to your look. Currently, these shoes aren’t sold on the Chanel website and their price point is well over $1000 dollars from outside sellers. But I’ve found an exact dupe to these adorable heels for a fraction of the price, and they’re from Macy’s! The Ivanka Trump Slingback Block-Heel Pumps are the perfect replica to the Chanel shoes, and they’re way more affordable at $125 dollars. Although if that’s still too pricey, I’ve linked some even cheaper options that aren’t exactly dupes but will give you a similar look. 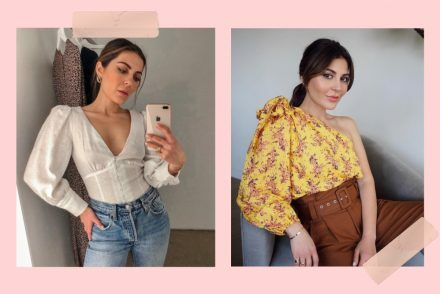 I’ve been obsessed with wearing off-the-shoulder tops and I can’t stop talking about them! These tops are so on trend right now. 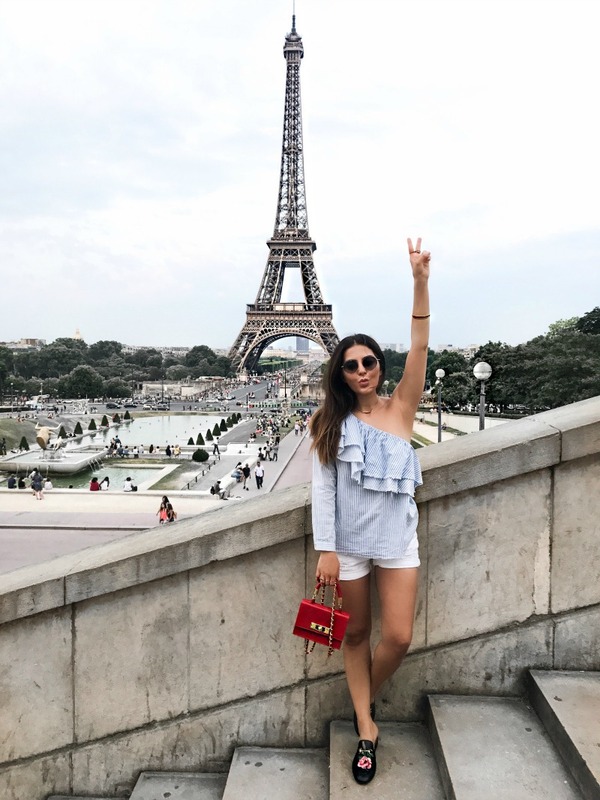 I wore this ruffle top while in Paris, which you might’ve seen in my summer outfit ideas post. I still get questions on where I got it all the time! This particular top is from Zara and I purchased it while I was in Spain. I found an amazing dupe for this top on Amazon for only $14.99! This is one of the easiest pieces to get the look for less because there are so many options online! This Reformation Coral Dress is such an amazing dress for the summertime, especially because it’s white! 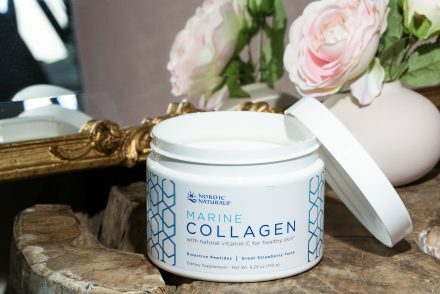 White really compliments a tan, and will make you look like you have a nice summer glow if you are fair skinned. The flirty ruffles also add such a feminine touch! I wore this dress while in Cabo out to dinner and snapping some photos on the beach at sunset with KB. It was perfect for the warm weather! But I know spending over $200 dollars on a dress is a little pricey. I found two great dupes for this dress under $20 dollars that I know you will be obsessed with. The Flounce Fit and Flare dress from Forever21 is for sure the closest between the two, it’s almost shocking how great of a match it is to the Reformation one. At only $17.90 it’s a solid deal you won’t want to pass up! Slip dresses are so in right now, and they’re perfect for the hot weather! I have been loving wearing this black silk slip dress from Sisters The Label. I wore this dress while in Barcelona and it was so breezy and cool. It also came with the edgy cross choker I’m wearing in the photo, which is so chic! Silk dresses can get expensive, but I discovered such a great dupe for this adorable little black dress from Boohoo for just $15.79 (that even comes with a choker too). Yes… you read that right. It’s under $20 dollars, which is such a steal! If you are trying to get the look that Sisters The Label has, this dress is a fantastic option. I also included a few more similar dresses you should totally check out if this one isn’t quite what you’re looking for. This bag is another classic piece to have in your wardrobe, it’s even in the name! ;) But let me tell you, this Chanel Classic Handbag is very expensive and was definitely something I had to save for. Spending $4,500 on a bag is a huge commitment! If you aren’t looking to spend that much on one bag, I’ve found three great dupes that’ll have you typing in your credit card info even before you’re done reading this post! The best part is, they’re all under $40! Can you believe it? 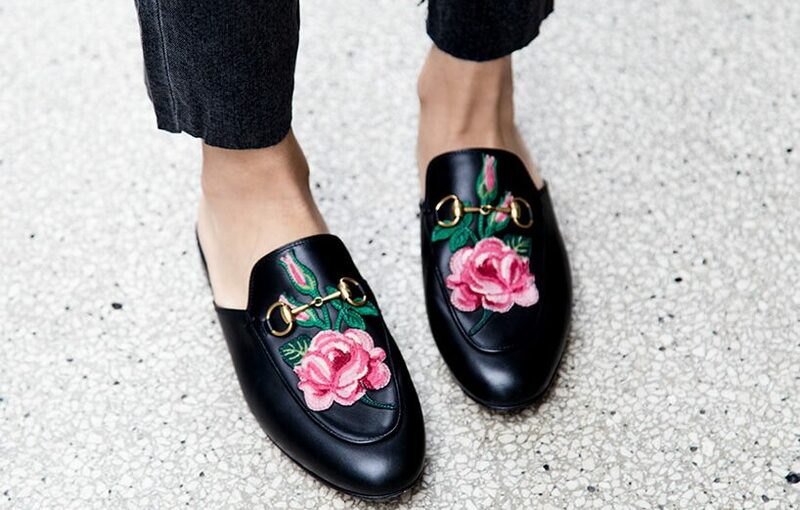 If I had to pick one of my most worn shoes, it would definitely be these Gucci ‘Princetown’ Embroidered Mule Loafers. They are so cute and super comfy! I was able to find so many great dupes at all different price points so you will easily be able to get the look. The closest dupe to these Gucci loafers that I found are just $35 dollars from Forever21. I also linked a few more options below for you to check out as well, there are so many affordable dupes for these loafers! I hope you enjoyed this post on how to ‘get the look’ more high end and designer clothing for less! Dressing on trend doesn’t mean you should have to break the bank. If you want to save some cash or are on a budget, there are still so many options available that will give you the luxury look you desire. What’s one luxury item you’d like to own one day? I absolutely love the Forever 21 dress and I will look to see if there is a similar one in my country. Always with helpful posts Sona!! Thanks for sharing!! You’re so sweet. Sending all my love! I would love to own a pair of Oliver Goldsmith Manhattan sunglasses! They are the same style Audrey Hepburn wore in Breakfast at Tiffanys ? Those are such cute sunglasses! OMG I love the white dress and the Gucci shoes! Thank you for finding the dupes! The dupes for those two items are so perfect! I’m happy to help love. I LOVE this post, you selected some of the items you’ve wore that I only wish I could buy. The one item I wouldn’t mind splurging on are your black chanel loafers; however I’ve never been able to find them. What dupes do you recommend? I love love love this post! I love finding affordable dupes! You should do more posts like these ? Thank you ? What brand sunglasses are you wearing in th Chanel shoe denim on denim pic? Omg I love this post! I have been lusting after your Gucci loafers but cannot afford them. I just ordered the ones from boohoo! I cannot wait to get them! Thanks Sona! Yay! You’re going to look so cute! Omg! Those gucci shoes and chanel bag are such eye candies! And wow, people normally don’t give away dupes for their clothing style. Such a selfless input by you! That’s so cool. I love all of these. Dupes are great for those who really can’t high end products. I want to own Gucci shoulder bag. It’s so amazing and pricey. I want to gift it to my mum as she loves it a lot. Gucci handbags are so cute. They’re a great investment in your wardrobe! I want to have Chanel Two-Tone Slingback Pumps someday. The day I saw you wearing those, I fell in lovc with them. I love this blog and this blog post idea!!! I see your hustle Sona at every turn. ? You’re so so INSPIRING!!!???#snapchatfam ? I think I like the fit from JQ Star a little better than Zara. So girly and pretty! What a great idea, I’ll keep that in mind! I can never pull off looks like you do. Like the outfit you have on with dark jeans, a turtle neck and grey sweater… Super cute! I’d look like a nun :( hahaa … This helps to mix and match what we already have in our closet and then add accent pieces. Perfect! That’s an amazing post sona.. I wanted to buy those Gucci look alike loafers for so long.. thank you so much for more affordable options.. luv ya!???? LOVE these dupes, Sona, thank you so much for this post!! Forever 21 to the rescue! !